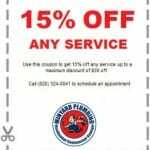 The plumbing is one of the most vital systems to keep a home functional and comfortable. Whether you need new plumbing installed in a new addition, or you need emergency plumbing repairs, it’s important to choose the right contractor for the job. We want to help you get the best service for your home, and to help you do that, our team has put together a list of qualities to look for in a plumbing contractor. Licensing and Insurance- The first thing you ask a potential plumbing contractor is to see their licensing and insurance documentation. Contractors need proper licensing in order to show their clients that they are qualified to perform the kind of work they need, and they also need insurance coverage to protect their clients in the event that something goes wrong on the job. If your candidate is reluctant to provide these documents, you should probably look elsewhere. Experience- The next thing you should consider when choosing a plumbing contractor is their level of experience. Search online or ask their team to find out how long they’ve been in operation, what types of projects they’ve worked on, etc. As mentioned above, much of your home’s overall functionality and basic comfort is in this contractor’s hands, so it’s better to go with a veteran of the industry. References- During your initial consultation, you should also ask your plumbing contractor to provide references from past clients. Any reputable contractor should expect this question and be happy to provide good references, so don’t hesitate to ask. In addition, you can also check the company’s online reviews. We hope that these tips help you find the best plumbing contractor for your home. 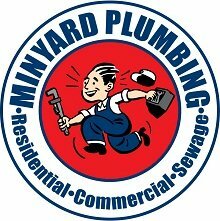 Of course, if you don’t know where to start, you can always turn to our team at Minyard Plumbing, Inc. for excellent service and quality results.